NKBA Tennessee is the local chapter that brings together local Tennessee Kitchen & Bath distributors, retailers, remodelers, manufacturers, fabricators, installers, designers, and other professionals – and provides a resource for local consumers to research, educate and connect with Tennessee Kitchen and Bath professionals. 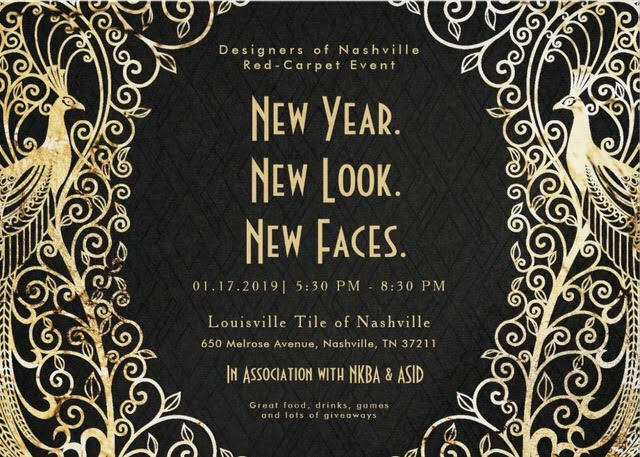 Click here to visit the NKBA Tennessee Facebook page. January meeting. Schluter will be presenting CEU. Holiday Party for ASID & NKBA members. Holiday Party for NKBA & IDS members! As the market ebbs and flows with urbanization, apartment living and space restrictions, lifestyle and demographic changes, the effective small kitchen is becoming a powerful tool for design and influence. This course will cover current trends regarding influences of the small kitchen and how to address clients’ needs when specifying a small kitchen project. We will explore the common characteristics and constraints of smaller kitchens and review solutions to maximize utility, comfort and design. Qualifies for 0.1 CEUs. NKBA members must self register CEUs on www.nkba.org. All organizations and individuals are welcome. Thank you to Ferguson for hosting our meeting at their showroom and Fisher & Paykel for providing CEU. Learn how kitchen sinks have evolved throughout the years. An analysis of how lifestyle design trends, technology and resource availability have influenced the size, shape and material of the modern-day sink. Presented by Yancy Quiett with Elkay. CEU is AIA, IDCEC & NKBA approved. PLEASE EMAIL JUDY GOOCH BY 7/16 TO RSVP! Judytgooch@gmail.com. Crystal Gala in partnership with Franke and ASID. A free shuttle bus service between the Music City Center and Franke will be available to registered guests. Please RSVP to frankersvp@sharpthink.com. This course covers the fundamentals of quartz surfacing, including its performance attributes vs. alternative products and typical applications in commercial and residential environments. The course provides an overview of typical production: testing and quality-assurance processes that are common practice within the quartz surfacing industry. Additional topics include the manufacturing process and the professionals involved in the supply chain, from raw material to the end consumer or project, as well as best practices in fabrication and installation of quartz surfacing. IDCEC approved CEU-103116 presented by Cambria. Qualifies for 0.1 CEUs. NKBA members must self register CEUs on www.nkba.org. Thank you to Ferguson for hosting our meeting at their showroom. A new category of architectural surfacing has arrived! “Ultracompact” references an innovative material created by the process of SINTERIZATION. This cutting-edge material is created by using extreme heat and pressure to break the boundaries of natural stone, solid surface, and quartz. Its unmatched strength, durability, chemical resistance, and thermal stability allow limitless applications. This course will examine the advantages, design flexibility, and longevity of this innovative material. Brittany Earlie is the Architect and Design Sales Manager in TN for Cosentino, the world’s largest manufacturer of quartz surfacing and the leader in ultracompact innovation. She aides architects, designers, contractors, and construction professionals in implementing the best design, applications, and executions for surfacing materials. You are invited to a joint meeting with ASID. 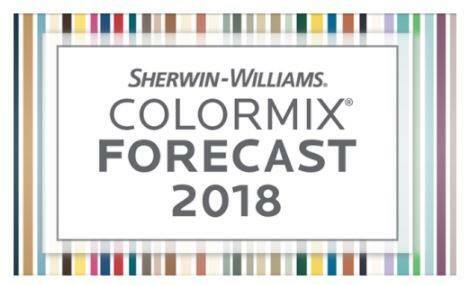 Sabina Jahic will be presenting a CEU: “Color Forecast 2018”. Qualifies for 0.1 CEU’s. 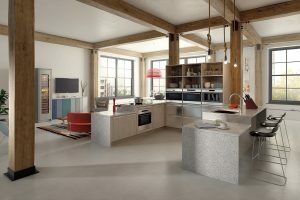 NKBA members must self-register their CEU on www.nkba.org. An evening of education, atmosphere, food, and drinks as we present a double CEU event led by Jack Stoffer of Sub-Zero & Wolf. Learn how to better communicate with your clients and sell the job with 3D presentations. See how using different rendering techniques such as watercolor, technical illustration and photo realistic ray tracing can provide your clients with feedback that can focus on design concepts or the final look and feel of the completed project. Change designs, materials and colors on the fly in front of your clients and create a satisfying customer experience. Scott Harris is the Vice President of Chief Architect Software the leading provider of 3D Home Design Software. He guides product marketing for the Chief Architect professional, DIY and mobile software products. Scott has an MBA with a background in software development and is a Certified Kitchen & Bath Designer (CKBD). As a hobby, he is an avid designer of custom homes and interior spaces. Thank you to The Tile Shop for hosting our meeting. Bring your business cards for a Amazon Echo raffle. Course Description: Specifying Luxury Kitchens in Small Spaces. This course describes general design considerations for specifying smaller kitchens, discusses refrigeration and cooking appliances that make most sense in a smaller space, and then suggests how to spread kitchen functions beyond the kitchen and into the rest of the home. Presented by Kate Esteller from SubZero/Wolf. Qualify Effectively, Estimate Quickly, Get a Commitment Faster.